Welcome to the beautiful city of St. Albert! Located just north of Edmonton, St. Albert is in close proximity to multiple arterial roadways, including the Anthony Henday, St. Albert Trail, and Highway 2. More than 65,000 people call St. Albert home and it’s quickly becoming one of Alberta’s most popular cities. Though Edmonton is close for commuting, St. Albert offers its residents everything from employment and education, to recreation and a plethora of amenities. Residents of St. Albert enjoy a strong community feel, as the tightknit city is a hotspot for residents of all ages. Real estate in St. Albert is highly sought after and includes everything from condos and single-family homes to prestigious executive properties. Nestled along the Sturgeon River, St. Albert provides its residents with serene river views, the Red Willow Trail System, and plenty of parks and outdoor recreational space. For indoor recreation, St. Albert is home to plenty of athletic facilities, including Servus Credit Union Place. St. Albert’s vibrant community plays host to multiple festivals, including the Northern Alberta International Children’s Festival and the Kinsmen Rainmaker Rodeo, among many others. There’s never a dull moment in St. Albert! 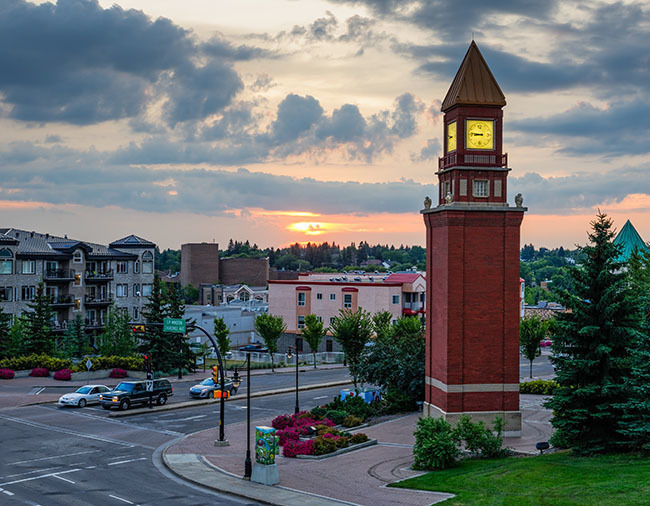 Call St. Albert home and experience one of Alberta’s most desired cities!